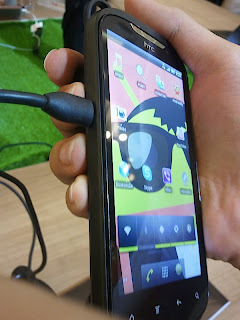 MobileSyrup is reporting today that the rumored T-Mobile bound HTC "Ruby" is also headed to TELUS. The rumored specs include a 1.5GHz Dual Core processor, 4.3-inch qHD, 1GB of RAM, 16GB of internal storage, 42.2mbps Dual HSPA+ speeds and an 8MP camera. If this news is in fact true, TELUS is really stepping it up with the 4G Samsung Galaxy S II X and this beast which would completely rejuvenate their lineup.